Jerusalem. Battle for Jerusalem. 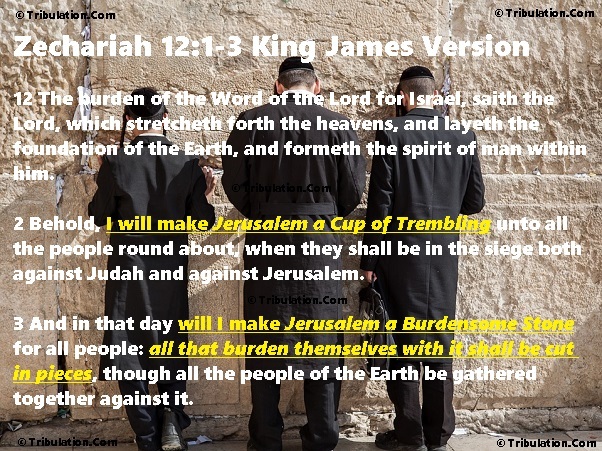 Why is Jerusalem the Burdensome Stone & Cup of Trembling of God? 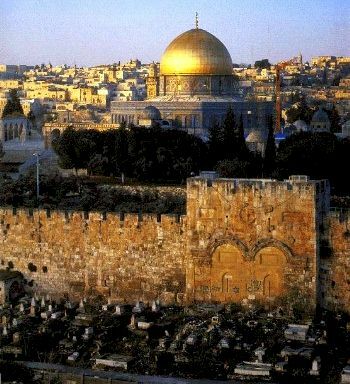 Will the World Be Able to Solve the Problem of Jerusalem? "2 And I saw the Glory of the God of Israel coming from the East ..."
"4 The Glory of the LORD entered the Temple through the gate facing East"
14 So the angel that communed with me said unto me, "Cry thou, saying, 'Thus saith the LORD of Hosts; I am jealous for Jerusalem and for Zion with a great jealousy.'" The primary prophetical message of this passage details God's protection of Jerusalem against all nations that would come to battle against her. This prophecy speaks of the siege of Jerusalem by the Antichrist's armies during the last half, or 3.5 years, of the Tribulation Period, also known as the Great Tribulation. The attempted destruction of Jerusalem by the Antichrist and his armies will be suicidal according to verse 3. Jesus referred to the Church Age as the "TIMES OF THE GENTILES." This passage from Luke reveals that the Jews will not have total control of Jerusalem until the Church Age is completed. Many believe the Church Age, the Age of Grace, will end with the Rapture of the Church. The Christian Church is currently the primary vehicle God uses to speak to the Earth. Soon, Israel will be placed in the forefront, after the Church Age is fulfilled, and the world will be back under the Law of God. This is further evidenced by the appearance of the Two Witnesses in Revelation 11, apparently representing the Law and the Prophets, preaching not only to Israel, but the world as well. For this reason, Israel will build their Third Temple to God in Jerusalem, believing that only the daily sacrifice of animals can justify them before their God. Of course, the New Testament Christian knows that the Jew should be under the Grace of God in Christ. 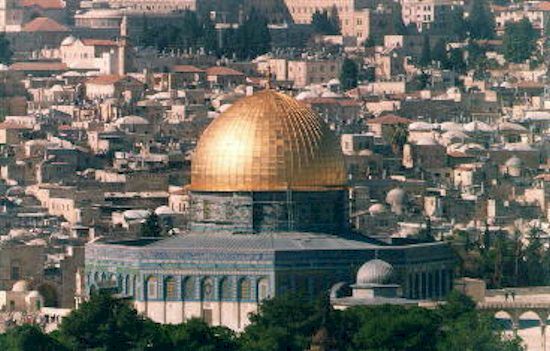 However since God has blinded National Israel to this fact (Romans 11:25-29), He will allow them to build this Third Temple. When this Third Temple is constructed, the prophecies of Revelation 11, 13, 14 and 19 can, for the first time in history, be fulfilled. When the Antichrist of Revelation 13 is revealed as the Deceiver that he is, setting up an idol in the Third Temple and violating Commandments 1 and 2, National Israel's eyes will be opened to the Grace of God in Christ for the first (and last) time. 21 ... and Jerusalem shall be trodden down of the Gentiles, until the TIMES OF THE GENTILES be fulfilled. 4 Who opposeth and exalteth himself above all that is called God, or that is worshipped; so that he as God (PRETENDING TO BE ALMIGHTY GOD) sitteth in the (THIRD) Temple of God, shewing himself that he is God (DECEIVING HIMSELF AND THE WORLD). 2 For I will gather all the nations against Jerusalem to battle, and the city will be captured, the houses plundered, the women ravished and half of the city exiled, but the rest of the people will not be cut off from the city. 3 Then the LORD will go forth and fight against those nations, as when He fights on a day of battle. 4 In that day His feet will stand on the Mount of Olives, which is in front of Jerusalem on the east; and the Mount of Olives will be split in its middle from east to west by a very large valley, so that half of the mountain will move toward the north and the other half toward the south. 5 You will flee by the valley of My mountains, for the valley of the mountains will reach to Azel; yes, you will flee just as you fled before the earthquake in the days of Uzziah king of Judah. Then the LORD, my God, will come, and all the Holy Ones with Him! 6 In that day there will be no light; the luminaries will dwindle. 7 For it will be a unique day which is known to the LORD, neither day nor night, but it will come about that at evening time there will be light. 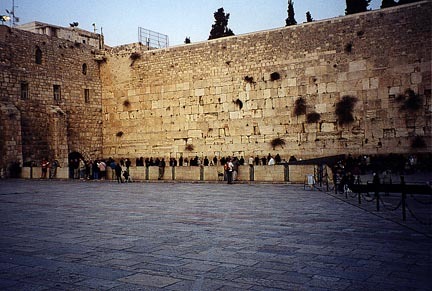 11 People will live in it, and there will no longer be a curse, for Jerusalem will dwell in security. Though this is chapter 8 of Zechariah, here the Lord speaks of His return to the Earthly City of Jerusalem. This occurs after the Battle of Armageddon in Zechariah 14. From Jerusalem, God the Son, Jesus Christ will reign on Earth for 1000 years. The Third Temple to God will be built in Jerusalem. The Antichrist will halt the daily sacrifice and oblation. MIDI Music: "Blow the Trumpet in Zion"